The Relationship Between Puerto Rico and the U.S.
Update: Puerto Rico was hit by Hurricane Maria in September 2017. In the aftermath of the hurricane, the island is experiencing extreme hardship — and a number of organizations have stepped in to support relief and rebuilding efforts. Find out how you can help. Many travelers wonder about the exact nature of the relationship between Puerto Rico and the U.S. And, to be fair, it can be confusing, because it is a unique social, economic, and political compromise. For example, bookstores in the U.S. put travel guidebooks to Puerto Rico in their "International Travel" section rather than "Domestic Travel," where it belongs. On the other hand, Puerto Rico is technically part of the United States. So ... what's the answer? Find out here. Is Puerto Rico a U.S. State? No, Puerto Rico is not a state, but rather a Commonwealth of the United States. This status provides local autonomy to the island and allows Puerto Rico to publicly display its flag. However, the government of Puerto Rico, while ostensibly a local responsibility, falls ultimately on the U.S. Congress. 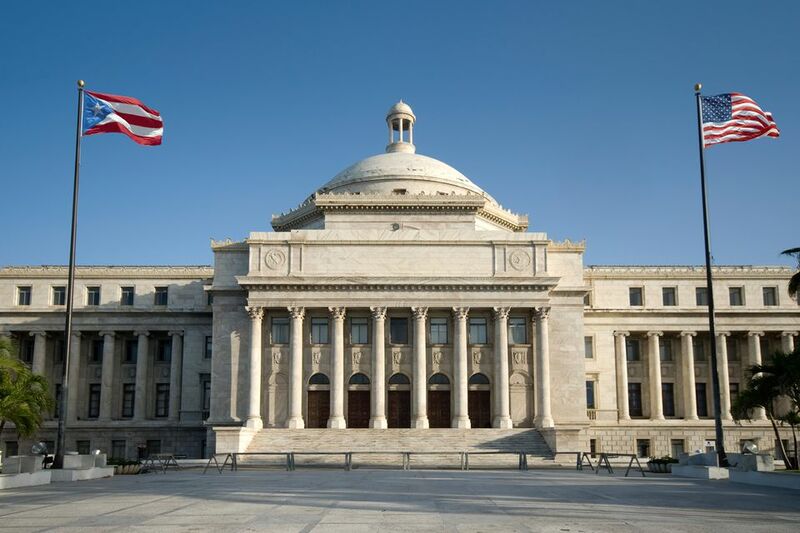 The elected governor of Puerto Rico occupies the highest public office on the island. Yes, Puerto Ricans are U.S. citizens and make up about 1.3% of the total population of the United States. They enjoy all the benefits of citizenship, save one: Puerto Ricans who live in Puerto Rico cannot vote for the U.S. President in the general elections (those who live in the United States are allowed to vote). Does Puerto Rico Want to Become a U.S. State? The vast majority of Puerto Ricans want to keep the status quo and remain a Commonwealth. A less popular but vocal camp is in favor of becoming a U.S. state. Their reasons center on the right to vote and increased funding from Washington, DC. An increasingly smaller minority want independence for Puerto Rico, arguing that national pride and complete autonomy will be worth the growing pains of a new nation that is not supported by Federal aid. In What Way Is Puerto Rico Autonomous? The winner of the 2006 "Miss Universe" pageant was Miss Puerto Rico, not Miss USA. In the Olympic Games, Puerto Rico fields its own athletic team, separate from the Americans. Puerto Ricans don’t file federal income tax returns unless they work for the Federal government. In What Way Is Puerto Rico "American"? Puerto Rico's currency is the U.S. dollar. Puerto Ricans serve in the U.S. armed forces. The island uses the U.S. Postal Service. The American flag flies over Puerto Rico's Capital. Donald Trump Wants to Buy Puerto Rico and Rename it Puerto Trump!